There’s nothing like an icy cold treat on a hot day. 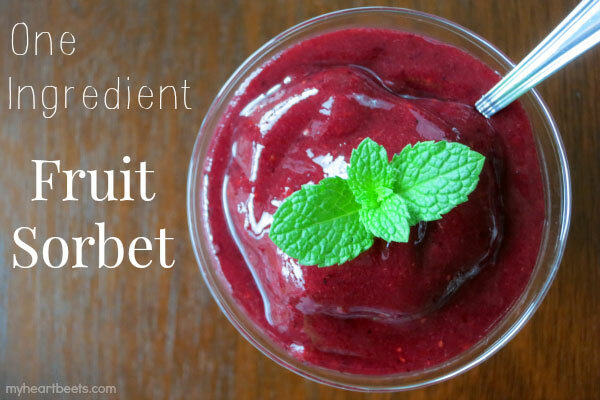 This one ingredient fruit sorbet is refreshing, sweet and super simple to make. In fact, it’s so easy to make that I kinda feel silly calling it a recipe. 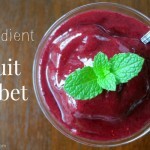 If you do a search on the interwebs, you’ll notice that a lot of sorbet recipes include sugar, water, or even milk. The method that I use calls for just one ingredient: fruit. You can use any fruit you want – you just freeze it and blend. I used frozen mixed berries to make the sorbet in this picture, but I’m already dreaming of a frozen peach sorbet once I can get my hands on some farm fresh peaches. Even though this sorbet is simple, it looks fancy enough to serve dinner guests. It’s the perfect after dinner-treat for a last minute get together. You don’t need an ice cream maker to enjoy this icy dessert, just blend frozen fruit in your high powered blender until its soft and creamy. Ok, now that I’ve talked enough about frozen fruit ice, on to my shenanigans from this past weekend. 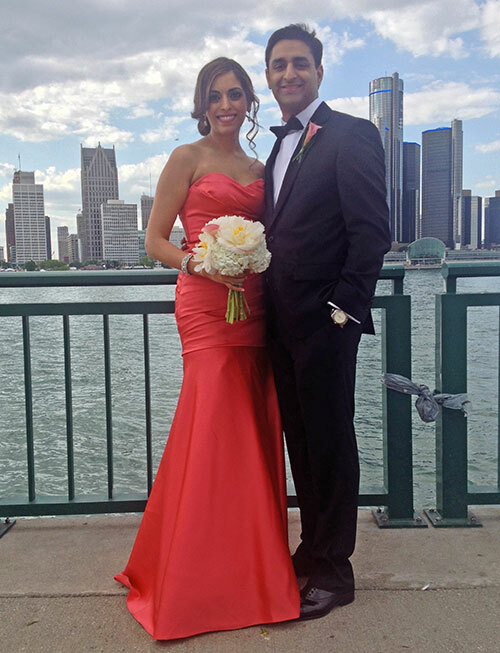 Roby and I left the country to go to a wedding… in Canada! 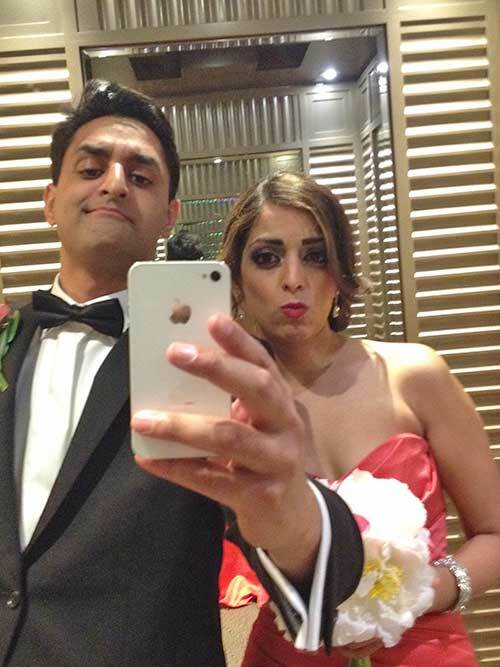 The two of us were in the bridal party – he was the best man and I was the maid of honor (yes, I know – technically matron). It was awesome – we even gave a speech together. 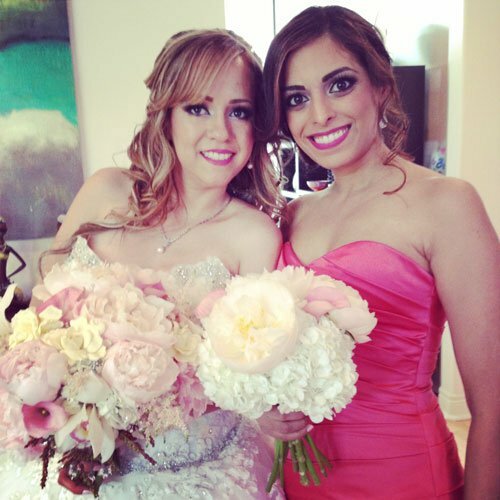 Here’s a picture of me with the gorgeous bride, Kat. Doesn’t she look stunning?! Ok, look closely in this next photo… do you see the bird? Way to photo bomb this picture of me and my hunky husband, bird. Excuse the quality of the photos – they were taken on my phone. [update: um, I have realized that… it’s not a bird or a plane.. it’s a trash bag]. look! It’s a bird… seriously, do you see the bird? 1. What do you do with a bridesmaid dress after a wedding? 2. 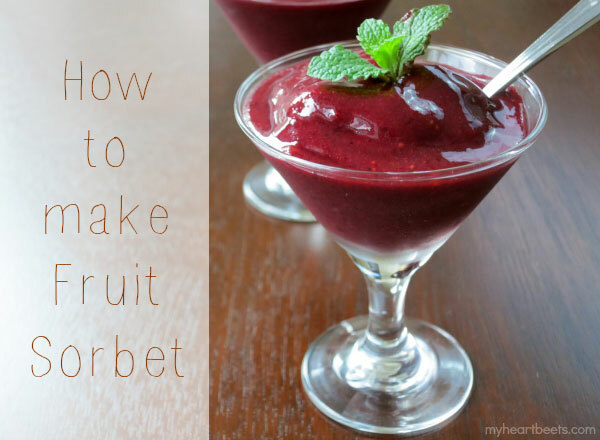 What kind of fruit sorbet are ya gonna make? Add the fruit to a blender or food processor and blend until smooth and creamy (you may need to periodically stop the blender and push the fruit down from the side of the blender). I love how simple this recipe is! Plus, I know my kids will love having a frozen (healthy) treat for summer. Thanks for the recipe. Pinning. This is so easy, and so being made this weekend!! What berries did you use? Hi Kay, I used a package of organic frozen mixed berries – raspberries, strawberries, blueberries and blackberries. in that picture where you say there is a bird… i am pretty sure it is a trashbag tied between two poles. Too funny–photobombed by trash bag! And yeah, if you figure out what to do with your bridesmaid’s dress, please pass it on (I have a pretty similar one with nowhere to go!). And the sorbet is genius–I keep wanting to buy the frozen fruit at Costco, but just haven’t figured out what to do with it yet. Boom!